How to make those stunning videogame glitches !? 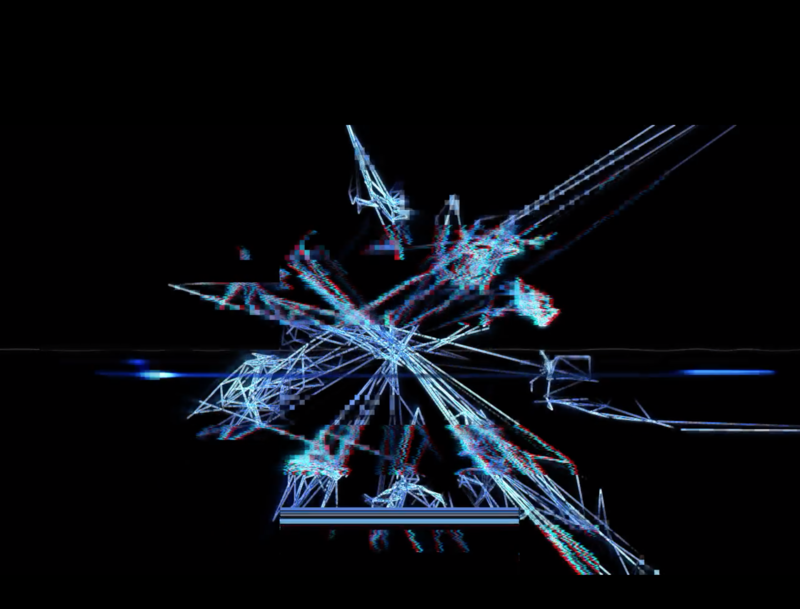 I want to achieve the glitch effects used in the game Memories of a broken dimension. But I can't get complex glitches like that with Max. Any idea how I can make those beautiful glitches ? Thank you for help ! Thanks for your help ! What free effect does this kind of visuals ? But indeed, i want to use Max for that, because I want to mix those visuals in realtime with other effects I made. Thanks for sharing the link to the video GRIGOU. Very inspiring. b) different effects on different parts of the rendered ego view (horizontal region) changing horizontal dimension. Something like this can be achieved using multiple jit.gl.cameras and adjusting their viewport settings. Also using different jit.gl.node @shader attached to the 3d objects might be useful here. c) gauss filter, edge filter - there are jit.gl.slab or jit.gl.pix versions available in Max. Some effects seem to be related to manipulation of vertices of the 3d objects via an vertex shader and some fragment shader manipulation as already noted with different viewports for different parts of the final image and additionally some fragment shader for the entire final rendering. How do you learn to do those tricks with gen ? Especially the code part with signed normalized coordinates. I love glitch art, and I have a lot of ideas in mind to develop glitch machines with Max, but for now, I don't have enough skills to achieve my goals :( I don't have big difficulties to make glitch with audio, but with the video... it's another story !! Mathematics are clearly not my best skill, so it's difficult for me to know what to do when I want to make video glitch like that. Do you have any advice on how I could increase my skills on that glitch world ? Maybe creating a big thread on glitch art (audio and video) on this forum could be a good idea to regroup techniques, ideas, patches, etc. What do you think ? I think we should keep this thread alive. I am curious to know if someone else has some more ideas about what techniques are involved in the "Memories of Broken Dimension" video. and the coordinates of the normals (the vectors that are perpendicular to the faces described by the vertices). The normalised coordinates stuff is somehow standard way to access jit.matrix content. https://cycling74.com/tutorials/demystifying-expressions-in-jitter/ Using the [snorm] instead of [cell] is the preferred way if you want to use matrices of different size e.g. video of different resolution, because the code will behave invariant of this. Referring to my example the gauss function that I used was just an arbitrary approach to illustrate how to change the distortion amount along the y-axis. One could also use a noise function [jit.bfg] or another arbitrary matrix of different size than the [jit.gl.gridshape] that is fed in the left inlet of [jit.gen]. On would use an additional [in 2] object and a [sample] within [jit.gen] to distort the vertices with another pattern. 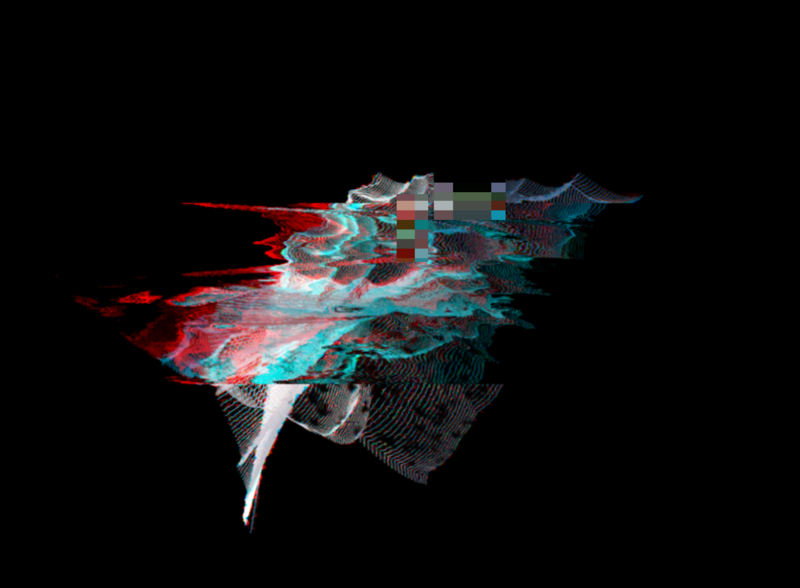 Sem Shimla posted a nice tutorial here about displacing pixels to create a glitch effect, by using a looping video of glitch-effects. Very nice ideas here ! Thanks a lot ! I already checked jit.unpack and jit expressions tutorials. It's a bit more clear. Now, I need to go deep in jit.gen and pix. And experiment with the patchs on this thread ! Anyone any ideas how to achieve these kind of visuals only using Max ? Thanks for the video Martin ! It's really beautiful ! Love it ! 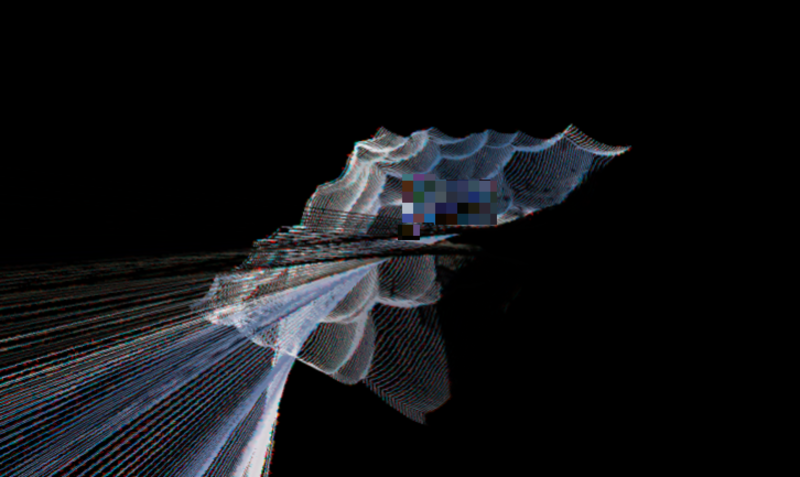 For now, I tried to do a random VHS glitch with jit.gl.pix. The effect is interesting, but I think it could be better. What do you think guys ? The usage of video input as pattern was also inspiring for me with this patch version here, but I should go to sleep now. Pixelation on certain regions of image. Thanks Martin for the patch ! The video you shared is really nice ! I love this kind of glitching geometry. I made some patches with 3D shapes generation like that, I will try to mix that with those glitchs. I just try something with 3D shape glitch and some noise. Thanks !!! So much nice technique to study in your patch ! The color displacement give a nice VHS style !! Wonderful ! Love the scanlines effect. This effect wasn't here in your previous patch, but I didn't find what part of the patch is doing it. Maybe it's related to audio input ? The main difference to the previous patch besides camera automation, voronoi origin automation and higher dim of the gridshape is the change in the pixelation code. Have look at the parameter horsamp. If it is zero the sampling in horizontal direction leads to the lines effect. Let's keep this thread alive -Glitch technique ideas. ... some more glitches and distortions. I recommend https://cycling74.com/forums/-share-•o_0∆cellblock-caravan∆o_o• as music to drive the visuals. Martin, you're the Master of glitch here !!! Your last patch is exactly what I was dreaming to do with Max since months (and years) ! 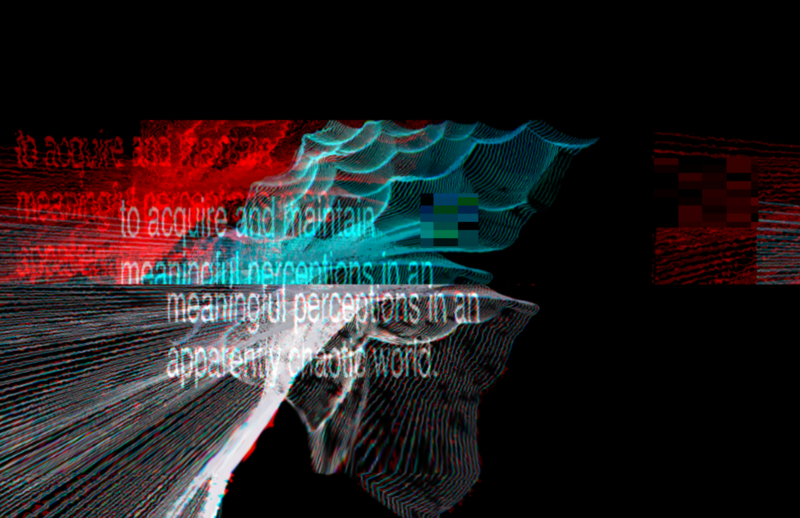 jit.gl.pix is really a beast for those kind of visual glitches. I really need to master it. I have a question for the part 2 of your patch (the 2 jit.gl.texture objets) : is it better to feed textures with video ? Or it's possible to feed them with other kind of input without breaking the glitch effect ? I was thinking about sending the content of the jit.gl.node inside the two jit.gl.texture objets or the output of jit.gl.pix (the one for the displacement map) or the output of jit.gl.slab world @file cf.gaussian.2p.jxs or adding another glitch map for the texture. this reminds me on actual glitches of quake or unreal engine type of games which were partially incompatible with certain graphics cards or a problem loading the correct shader for some elements in the map.